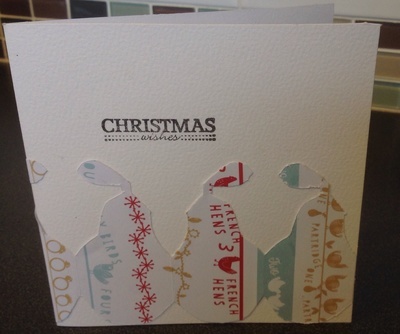 Cutting themed shapes into craft paper is a good way to emphasise a theme. 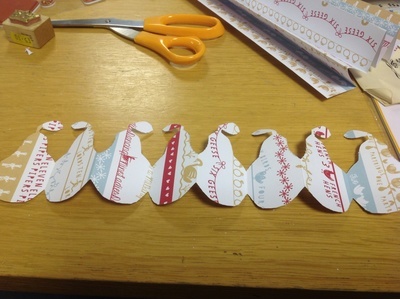 In this case, I cut a pear into Twelve Days of Christmas paper, which echoes the first verse: a partridge in a pear tree. 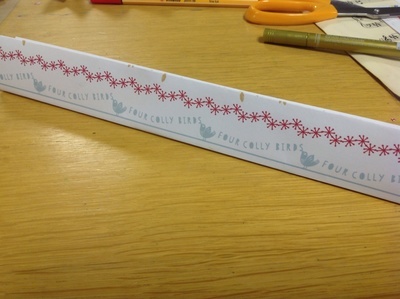 First, fold your craft paper in half, then in half again, and then again. Unfold, and then refold in an accordion fold. 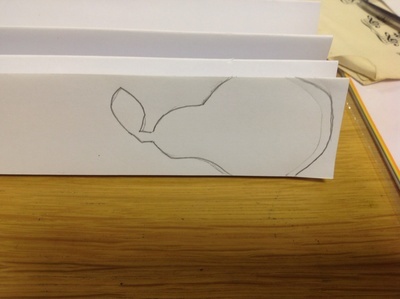 Using a light pencil, sketch out a pear shape onto the craft paper. 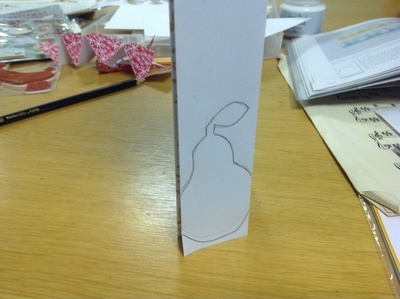 Cut out the pear shape, being very careful of the stalk. 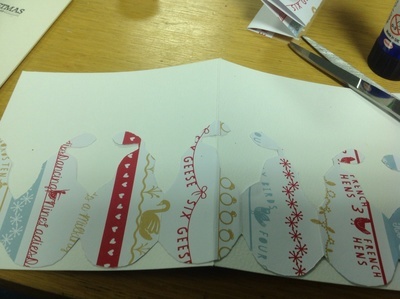 Lay out the pear shape across the bottom of the Christmas card. 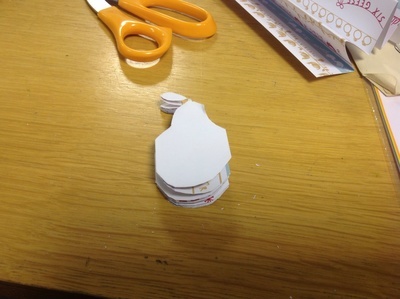 Glue the pear shapes down to the card. 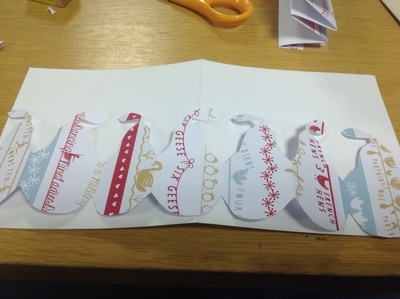 Wrap it around so one pear folds over on to the inside of the card. 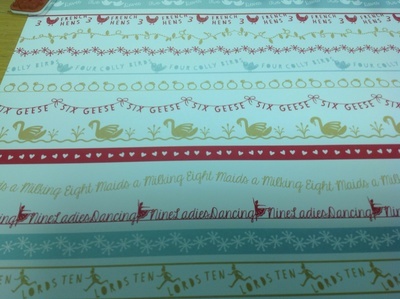 Stamp a Christmas message on to the front of the card. Where Do You Hang Christmas Cards?